Dorrine Etrula Kain, age 95, passed away Tuesday, November 22, 2016, at Rolling Hills Manor in Zion. She was born September 19, 1921 in Easton, MO to Sam A. and Julia (Calkins) Foster. Dorrine was a remarkable Christian woman who had an unwavering faith in God. She was a prayer warrior and her life had a positive effect on many others. She was involved with her church in Keokuk, IA for many years. She moved to Illinois in 2007 to live near her family. She loved music, singing, reading, cooking, baking, playing cards and games. She was known for her homemade caramels and pies. She is survived by her daughter, Karolyn (Brian) Marsh of Lindenhurst, grandchildren, Jeanne (Bob) Johnson of Seneca, SC, Christine (Tom) Ramagnano of Long Grove, Phillip (Leah) Marsh of Gurnee, Melissa Crum of Grandview, MO, Amy Rankin of Des Moines, IA and Chad (Lisa) Rankin of Des Moines, IA; and 15 great-grandchildren. She was preceded in death by her husband, Emmett LeRoy Kain, her parents, one daughter, Muriel Kain, a sister, Jeanne Kokjohn, and one brother, Lester Foster. Dorrine was a resident of Rolling Hills Manor in Zion. The family would like to thank them for their loving care. Also, Avalon Hospice, who helped us through a difficult time with compassion and care. In lieu of flowers, memorials contributions may be made to the Rolling Hills Life Enrichment Program. Funeral services will be Saturday, January 14, 2017 at 11:00 a.m. at the Lakeland Baptist Church, 24551 West Grand Avenue, Lake Villa, IL 60046. All arrangements were entrusted to Strang Funeral Chapel & Crematorium, 410 East Belvidere Road, Grayslake, IL 60030. For information, please call 847-223-8122 or visit www.strangfuneral.org. Bernard J. Ruzga (Bernie, Bob), 86, a resident of Grayslake, passed away Thursday, November 24, 2016, surrounded by his family. He was born December 9, 1929 in Gary, IN to Anthony and Petronella (Adomaitis) Ruzga. Bernie was a member of St. Mary of Annunciation in Mundelein, the Waukegan Moose Club and MooseHeart volunteer, Junior Achievement, the CB Club, Senior Vista Health, Ambassador Club, Waukegan Moose Golden Antlers, and the Boy Scouts. He was extremely proud of helping 4 sons attain the rank of Eagle Scout. He also served in the US Air Force during the Korean War and worked on early space programs at Cape Canaveral, FL. Bernie completed his engineering degree at Purdue University and spent his career with packaging companies. Upon his retirement, he and Ann toured the western US, Canada, and Europe, and created photo albums for everyone to enjoy the adventures. Bernie kept his children and grandchildren in his heart and always advised them to “be good, be careful”. We wish to express our thanks to the Condell Hospital and staff, as well as Dr. Slivnick, Dr. Roden, and all the medical personnel for caring for Bernie. He is survived by his children Bob (Deb) Ruzga, Mike (Lisa) Ruzga, Richard (Linda) Ruzga, Tina (Bryan) Lightfoot, and Dennis Ruzga; his grandchildren Ashley (Garret) Wright, David (Michelle) Ruzga, Brad, Anna Kate, Marissa, Danielle, Kayleigh, and Melanie. He was preceded in death by his wife of 56 years, Ann earlier in the year, his son Tom Ruzga, and his brother Albert Ruzga. A visitation is scheduled for Thursday, December 1, 2016 from 4:00pm until 8:00pm at Strang’s Funeral Chapel & Crematorium 410 E. Belvidere Rd. Grayslake, IL 60030. The funeral mass is scheduled for Friday, December 2, 2016 at 10:00 am at St. Mary of Annunciation 22333 W. Erhart Rd. Mundelein, IL. In lieu of flowers, memorials may be made to the charity of your choice in his name. For more information log onto www.strangfuneral.org or call (847) 223-8122. Elaine M. Cholewa, 90, a resident of Grayslake, passed away Friday, November 25, 2016 at her home. She was born March 19, 1926 in Chicago, IL to Henry and Viola Wos. Elaine is survived by her children Joseph C. Cholewa Jr. and Bonnie Cholewa, her siblings Lawrence (Nancy) Wos and Yvonne (James) Palermo, and her niece Jacquelyn. She was preceded in death by her husband Joseph C. Cholewa Sr., her son Glenn Michael Cholewa, her parents, and her step-father Bertram Kendall. A visitation is scheduled for Wednesday, November 30, 2016 from 5:00pm until 9:00pm at Strang Funeral Chapel & Crematorium 410 E. Belvidere Rd. Grayslake, IL 60030. A funeral service is scheduled for Thursday, December 1, 2016 at 10:00am at the funeral chapel. Interment will follow at Oakridge Cemetery in Hillside, Il. In lieu of flowers, donations may be made to the Go Fund Me Elaine Cholewa Funeral Fund Raiser. Please call (847)223-8122 or log onto www.strangfuneral.org. Floyd A. Norris, 89, a resident of Wildwood, passed away Saturday, November 26, 2016 at his home. He was born September 21, 1927 in Kenneth, MN to Merle and Lizzie Norris. A graveside service is scheduled for Wednesday, November 30, 2016 at 10am at Highland Memorial Park Cemetery 33100 N. Hunt Club Rd. Libertyville, IL 60048. All funeral arrangements were entrusted to Strang Funeral Chapel & Crematorium 410 E. Belvidere Rd. Grayslake, IL 60030. Please call (847)223-8122 or log onto www.strangfuneral.org. Laura Ann Nesti Sulzer, age 56, of Grayslake passed on Friday November 25, following a stirring fight with illness. The daughter of Sergio and Iola Nesti, the sister of Rita Nesti, she lived with grace and dignity. The mother of Benjamin (19) and Dylan (17), the spouse of Glenn, she loved with fierce passion, humor, and song. Hers was a spirit that will long be sustained in the hearts and memories of her immediate family (Carla Rivera (Raul), Teri Hermes (Bill), Martha Fountain (John), and Sergio Nesti (Patricia)), her extended family, and her legion of friends. Visitation and memorial services will be held on Saturday December 3 from 1-4 p.m with the memorial service commencing at 4pm at Strang Funeral Chapel & Crematorium, 410 E. Belvidere Road, Grayslake, IL 60030. In lieu of flowers, please consider a donation to Lungevity. For more information please log onto www.strangfuneral.org or call (847)223-8122. Dolores “Lori” Gilberts, 89, a resident of Gurnee, IL, passed away Friday, November 18, 2016 at Brookdale in Vernon Hills, IL. She was born January 6, 1927 in Chicago, IL. Lori was a member of the Gurnee Womens Club and had worked as an administrative assistant. Lori is survived by her nephews Don (Maureen) Hofert, Kenneth (Suzanne) Hofert, and Glenn (Anne Claussen) Hofert, her great-nieces and great-nephews Kimberly (Nathan) Hodel, Jim (Becky) Hofert, and Brent Hofert, and her great-great-niece and great-great-nephew Riley and Miller Hodel. She was preceded in death by her husband Ronald “Gil” and her brother Alvin “Bud” Hofert. A visitation and funeral is scheduled for Tuesday, November 22, 2016 from 9:30am until 10:30am with a funeral service commencing at 10:30am at the Strang Funeral Chapel & Crematorium 410 E. Belvidere Rd. Grayslake, IL. Interment will be held at privately. Please omit flowers. For more information log onto www.strangfuneral.org or call (847)223-8122. 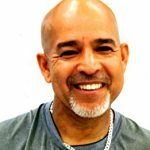 ANGEL L. MELENDEZ 64, United States Marine Corp Veteran of Zion, IL passed away on November 11, 2016. Angel was born to Felix and Ana (Alvarez) Melendez of Waukegan on December 20, 1951 in Vega Baja, PR, was one of 10 children. Was a lifelong resident of Lake County. Attended Maryville Academy in Des Plaines IL and continued his education at Waukegan Township High School where he graduated in 1969. He entered the military in 1970, where he served 2 years in the United States Marine Corp, and received an honorable discharge. He continued his service as a member of the Marine Corp Reserves for 4 years. He was employed by the Veterans Administration of North Chicago and the Ann Kiley Center. His accomplishments; VA Performance Award, Certificate of Nomination of the American Legion, was an AMVETS Life Member and received many other accolades. Angel was a loving, husband, father, grandfather, great grandfather, son, brother and uncle. He lived a full life, enjoyed his motorcycle, his dog Minnie and working out at the VA. He loved God, his family, and listening to the oldies. He was a loving warm kind hearted person with a big heart. Angel is survived by, his Wife; Anna Maria (Nieves) Melendez, Daughters; Hilda Quinonez (Jesse d.), Annette, Sons; Michael and Gabriel Graham, grandchildren; Lisette, Jesse, Yvette and Julian Quinones, Taylor, Avery, Emma, Kendall, and Elliott Graham, great grandchildren; Devine, Arian, baby Jesse III, His Mother; Ana, Siblings; Carmen, Santo (Mary), Freddy (Julie), Rose Staben (Milton d.), Ada, and numerous nieces, nephews and several greats. Angel is preceded in death by his father Felix, brothers Isaac and Eladeo, sisters Porfiria and Martha. A Memorial service will be held at 10:00 am, Friday, November 18, 2016 at New Way of Life Church 1225 S. Elmwood Ave, Waukegan IL. 847-775-2444. In lieu of flowers donations to the family would be appreciated. Marion W. Lewis, age 89, a resident of Round Lake passed away Wednesday, November 9, 2016 at Advocate Condell Medical Center in Libertyville. He was born in Swan Creek, IL to William and Cecil (Mayfield) Lewis. He was a long-time public school teacher. He is survived by his wife Mildred E. (nee Shipman), his children, and grandchildren. 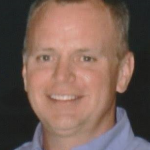 Brian Wayne Hamm, age 48, of Mundelein passed away Friday, November 4, 2016 at his home. He was born March 8, 1968 in DuPage County to Robert and Donna Hamm. Brian was a successful civil engineer for over 15 years. He loved Chicago sports, his favorite teams being the Cubs and Bears. When at home he enjoyed watching movies and playing video games with his children. He also loved spending time with his two dogs, Cookie and Muffy. Brian is survived by his mother and father, Donna Hamm and Robert Hamm of Fox Lake and his children, Ericka Hamm and Marina Hamm of Hainesville. He was preceded in death by his brother Scott Hamm. In his memory, a luncheon will be held at Oregano’s 119 W. Gilmer Rd, long Grove, Il, 60049 on November 20, 2016 from 12-3 P.M. All arrangements were entrusted to Strang Funeral Chapel & Crematorium, 410 East Belvidere Road, Grayslake, IL 60030. For information, please call 847-223-8122 or visit www.strangfuneral.org. Diane C. Hansen, 74, a resident of Grayslake, IL passed away Friday, November 4, 2016, in Libertyville, IL. She was born July 25, 1942 in Chicago, IL to Frank and Dorothy Messineo. Diane enjoyed gambling at the Lady Luck Casino in Marquette, IA and spending time with her grandkids. Diane is survived by her husband of 55 years, Daniel, her children Catherine (Michael) Huppert of Lake in the Hills, IL, Daniel Jr. (Jodi) Hansen of Wausau, WI, and Cynthia Miller of Somerset, KY, her grandchildren Matthew Huppert, Madison, Dayton, and Lexi Hansen, and Kyle and Zachary Miller, her sisters-in-law Linda and Jan, and many dear friends and other family members. A special thank you to her doctors Dr. Mehta and Dr. Nho for their kindness and wonderful treatment. She was preceded in death by her parents and her brothers Joseph and Ronald. A visitation is scheduled for Wednesday, November 9, 2016 from 3:00pm until 7:00pm at Strang Funeral Chapel & Crematorium 410 E. Belvidere Rd. Grayslake, IL 60030. A funeral mass is scheduled for Thursday, November 10, 2016 at 10:00am at St. Gilbert Catholic Church in the small chapel 301 E. Belvidere Rd. Grayslake, IL 60030. Memorial donations may be made to a charity of choice. Please call (847)223-8122 or log onto www.strangfuneral.org.